Step 1, Create a new word book as picture 1. 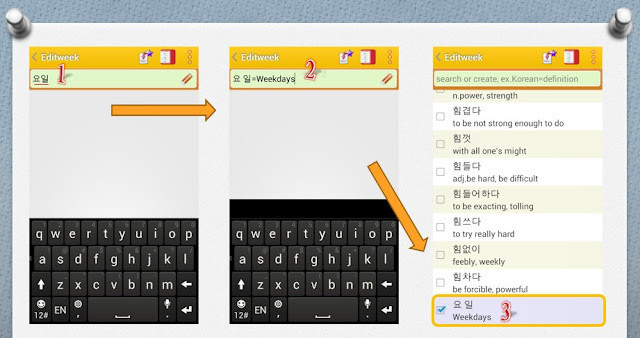 Click "Word book" [sign 1], Type "Week" on top field [sign 2] and press Enter key [sign 3]. 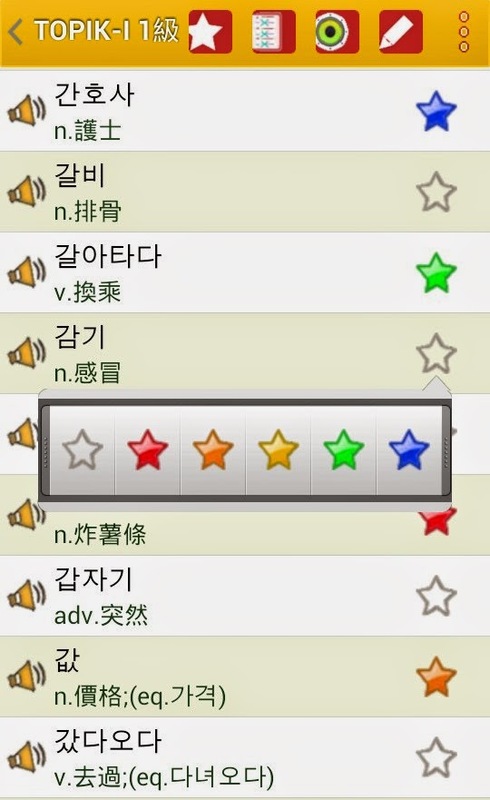 You can see the new word book in last one of list. Now we can add new word in the word book. Click the left icon [sign 4] to popup option items. Click Editing item function [sign 5] into edit page. 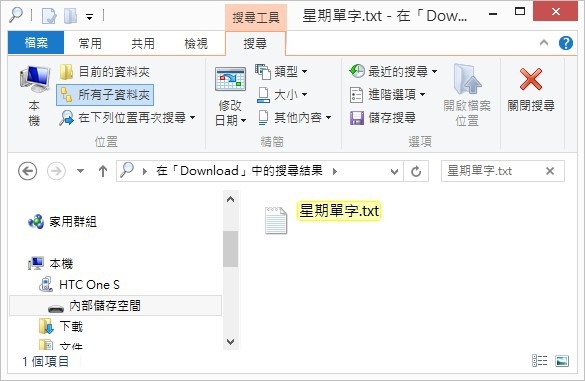 Step 2, Add word in Word book as picture 2. Now we can start to add 6 words in the Word book. You can find that some word is build-in and some word is not. You may create some word by yourself. At first, we explain the build-in word in this step. 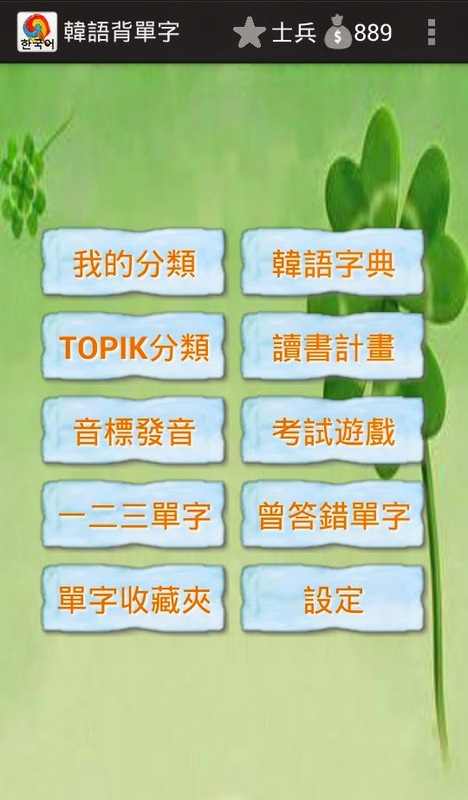 Type "Monday" on top field [sign 1], all related words will show on below list. Click the left check box [sign 2] to add the word into Word book. 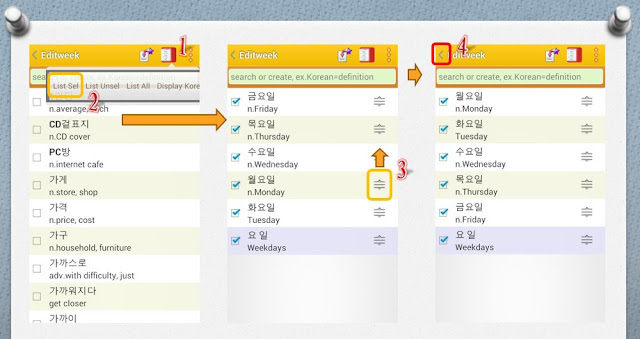 You can enter Korean word in search bar too [sign 3]. Now we can check 5 week words into Word book. Next step will explain user custom word. Step 3, Add user custom word. 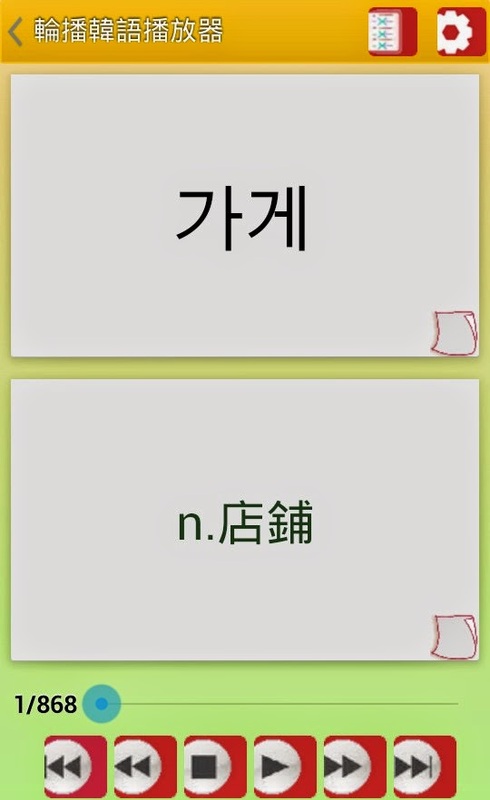 We will add the last word '요일' as shown picture 3. 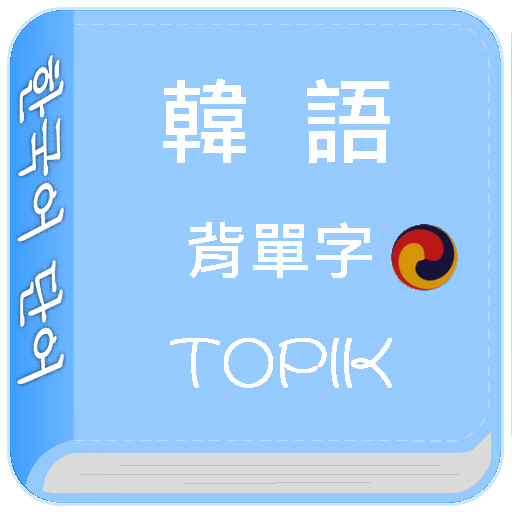 Type 요일 in search bar [sign 1], the list will show empty. It means the word is not build-in. You should create a new word by yourself. 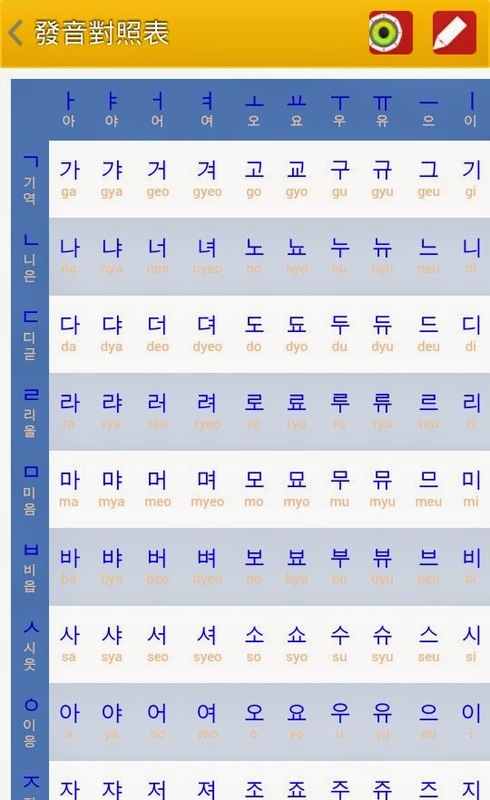 The format of new word is [Korean=Type.Explain]. 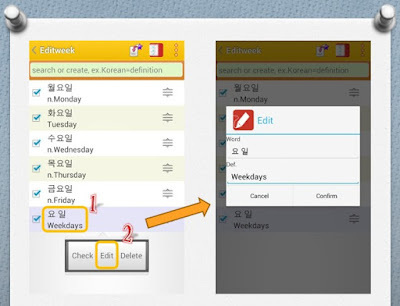 In this case, you can type 요일=n.Weekdays [sign 2] and press Enter key. The new word will show on the last of list [sign 3]. 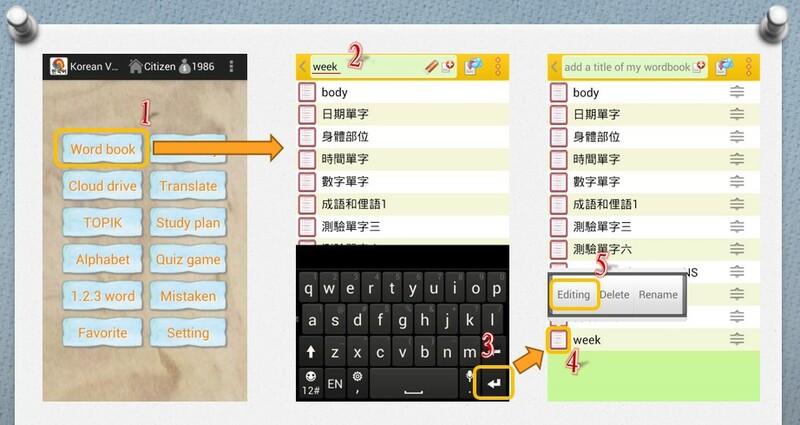 Step 4, Check the added words and change order as shown picture 4. Click classify icon [sign 1], and then click List Selected [sign 2]. Only six checked items show on list. 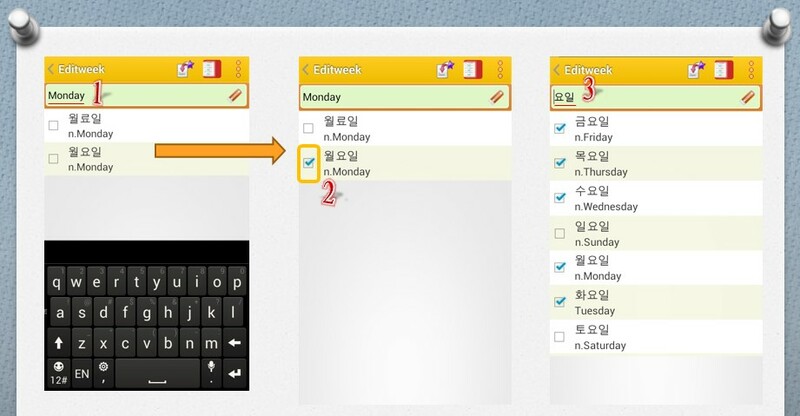 If you want to change order, you can drag and drop the right icon [sign 3] to change order. Finally, press back button [sign 4] to finish editing word book. Step 5, In case you want to modify or delete a word as shown picture 5. Click user custom word [sign 1] to popup option menu [sign 2]. 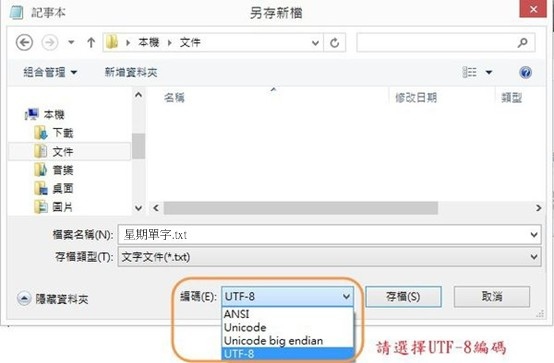 You can delete user custom word or modify its content. 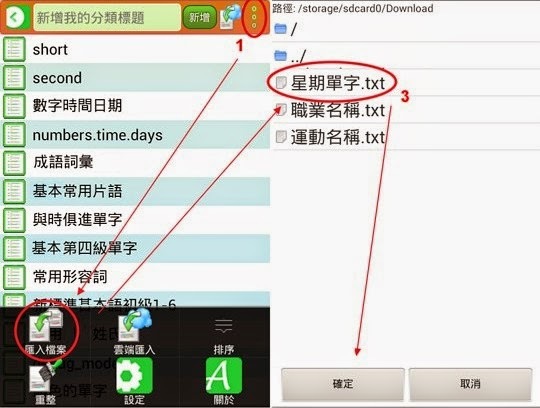 The build-in word does not support to be deleted, but you can modify its content. The change will save in a Word book. 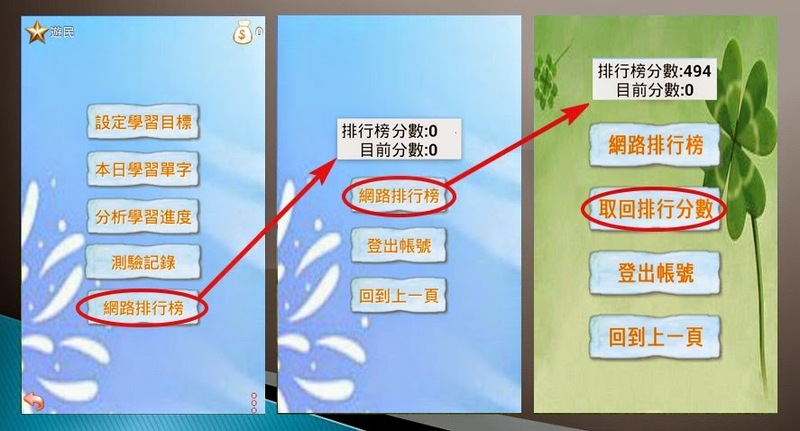 It means you can modify different word explain in different Word book. 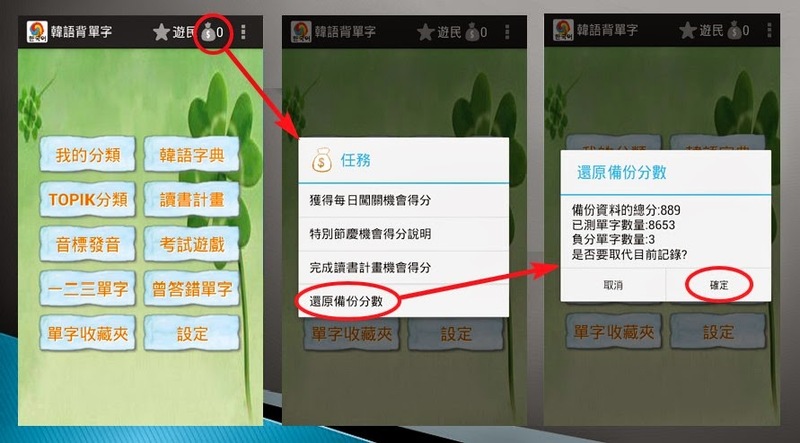 [Hint]: When open a word book, you can click option menu (3 dots icon) to adjust "Priority" to "User explain higher priority". If you changed the build-in word's explain, you should adjust priority to see the correct result.